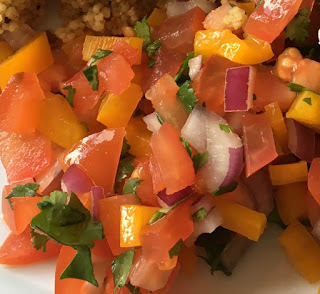 Once I joined Slimming World I found that I had lost gravies and mayo and butter to cover my food and it was all a bit boring. Not the curries and stews but the cold meats and potatoes. 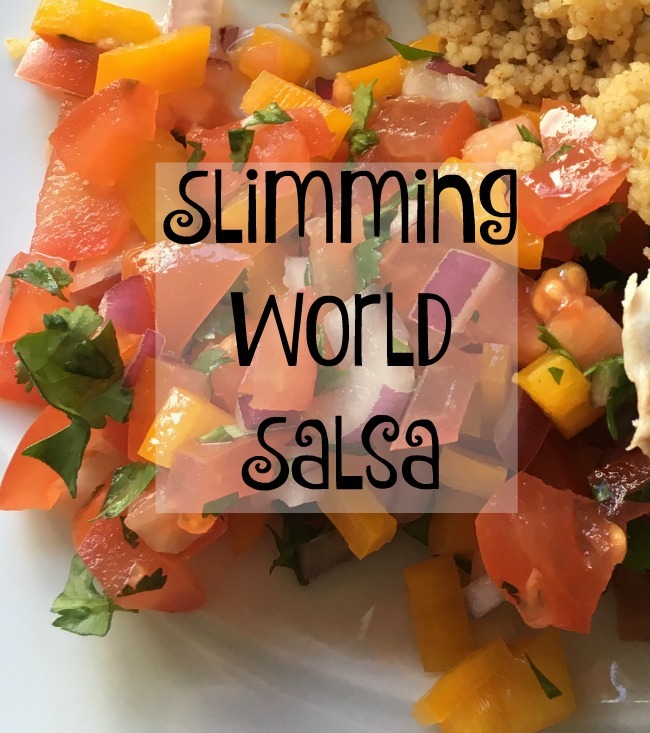 My Slimming World Salsa Recipe is so easy, Syn free and really adds to any meal. Recipes do not have to be complicated to be delicious. You could add any crunchy vegetable such as radish and fruit. Mango, pineapple or grapes are delicious too. Finely chop the tomatoes, chilli, yellow pepper and red onion. 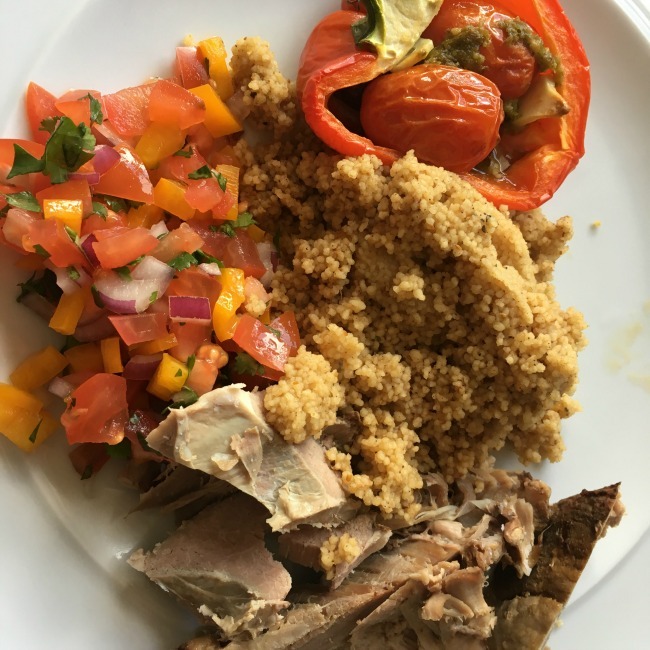 Serve with anything that needs a boost of flavour such as cold meat, potatoes, green salads or couscous.